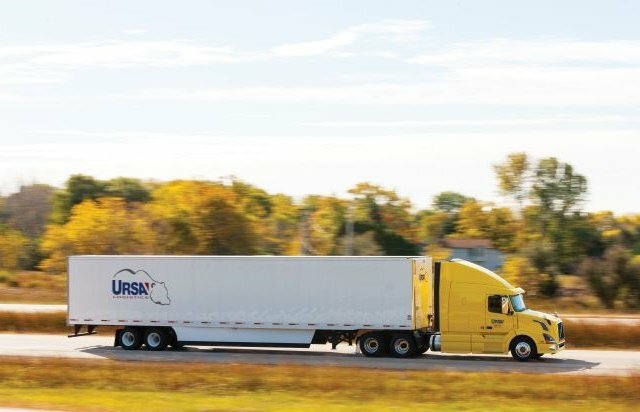 Long- and short-haul truckload carrier Ursa Logistics reports that its best trucks are running at close to 10 mpg. When it comes to running in the real world versus under ideal test conditions, we definitely see a difference in miles per gallon,” says John Lampsa, founder and CEO of Pewaukee, Wis.-based Ursa Logistics. That being said, he nonetheless reports that the long- and short-haul truckload carrier’s best trucks are getting close to 10 mpg. In line with his realistic approach to saving fuel, Lampsa qualifies that performance by pointing out that the near double-digit fuel mileage is seen “during the summer months and better than average environmental conditions.” Likewise, he attributes the fleet’s overall average of somewhere “in the 8’s” to running a mix of long- and short-haul routes for various customers. “Generally, it’s more challenging to get maximum fuel efficiency from short-haul trucks,” he notes. The fleet runs a mix of tractor makes with the latest fuel-efficiency options. The newest spec is Volvo’s XE powertrain package, which includes the OEM’s D13 engine and I-Shift automated manual transmission. All trucks are speed-limited to help conserve fuel. The newest trailers are fitted with Hendrickson’s SmartLift liftable slider suspension. Based on air-bag pressure, the suspension controls calculate the weight of the trailer load. If the front axle is not required to support the load, the axle is automatically lifted. But it isn’t all specs driving Ursa’s highly respectable fuel efficiency numbers. To help address the people side of the mpg equation, the carrier employs a driver-trainer who, in addition to improving safe driving habits, is charged with helping those behind the wheel boost their fuel economy performance.